With the latest Common App coming on August 1, we will be opening up a forum here to give you feedback on miscellaneous issues related to the college essay process. This way you'll not only save hours of work and enhance your efficiency with CEO's web tools but also get some clarity with the more confusing aspects of the process. In the next few weeks we're going to up the ante a little bit and open the floor to you in a more hands on, nuts-and-bolts way. If you have a question you'd like answered about the college essay process in general, about a specific prompt, or about CEO, let us know by dropping us an email. As we roll into the fall and the admission season heats up, we'll continue to maintain an open forum so you can get answers to your questions about your struggles, your curiosities, and your successes. 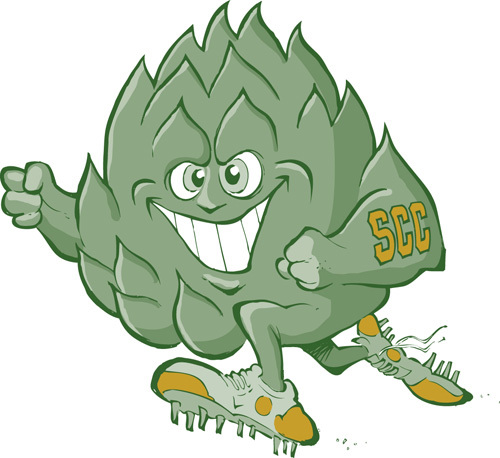 The Scottsdale Community College Fighting Artichokes are clear about what they want from applicants: a love of fighting and delicious cuisine. Other schools will require an essay. "The importance of the essay moved up since the last survey, perhaps reflecting the essay’s role as more colleges move to ‘test optional’ status. The essay was also seen as more important to private liberal arts colleges, as compared to large state universities." Schools continue to add essay requirements to find ways to distinguish their applicants and to find unique elements among them. Though on the surface this appears to make more work for applicants, much of that work is easily avoided with tools like CEO's, and simultaneously delivers to applicants the opportunities they've long asked for to be considered as people rather than numbers. Not bad. So recognize that our trusty friends at the IECA have spoken - get your essays right. They are truly your greatest opportunity to speak directly to the universities themselves. But even more than that, they are becoming opportunities to distinguish yourself clearly in an increasingly crowded marketplace. By using College Essay Organizer’s Essay QuickFinder and Essay RoadMap services, you'll be told about scholarship opportunities you didn't even know were there! Our extensive database of scholarship essays is delivered along with your regular essay questions at no extra cost! This is especially helpful with large state schools. With so many programs and special departments, these universities give you countless chances at scholarship money, but most students don’t know where to find it. By letting College Essay Organizer deliver your essay questions, you'll find out about opportunities others may have overlooked and save the hours it takes to dig for those scholarship dollars. Put it this way: for a few bucks now, you can save thousands of dollars in the years ahead. Use the promo code scholar123 and get a 50% discount! Loving Lebron James Makes College Admissions Even More Fun! Maybe after you get the acceptance letter you can think twice about getting the tattoo to match. The University of Miami got a few new ways to recruit students this week - Lebron James and a few of his friends. 1. Don't schedule an hour-long slot on prime-time television, no matter who asks for it. We understand you're going somewhere. We understand it is very, very important to you. And to many other people in your life. Even to people you have not yet met. But the process of telling people should take you fifteen seconds at best. Perhaps thirty when speaking to the elderly. An hour is pushing it for anything that can be safely squeezed inside a single sentence. 2. Don't surround yourself with children like you're Mother Theresa. You are not bringing wider peace to the populace. You are bringing academic potential and all the hard work of preparation that comes along with it. You are not, however, raising a city from the ashes. If, for example, you're going to college in, oh, say, southern Florida, remember that southern Florida has seen a lot and has done okay without you. 3. Don't tell people where you're about to "take your talents." We also understand how talented and wise you are. Just get in there and get those straight-As like your mama made you to. Just get in there and get 'er done. And if there is, oh, say, someone else who might have a leg (or six) up on you, pay them respect and just let everyone know about where you're headed quietly. A phone call, an email, even a press release to the proper media outlets, and you'll be fine. Follow these three simple tips and it is highly unlikely that anyone will shove life-sized cutouts of you into the garbage face first. Better yet, very few people will set anything on fire with your name on it. Stay strong. 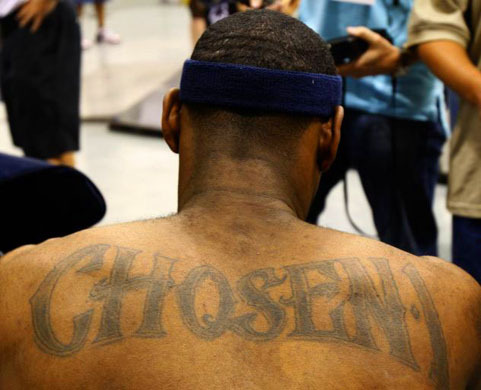 Posted in College Admissions Tips, News | Comments Off on Loving Lebron James Makes College Admissions Even More Fun! Fun Fact: This picture was taken in February. Amherst's physics department can change the weather locally. 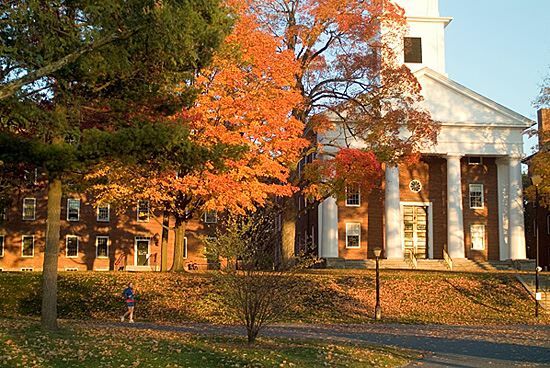 Amherst College is a Common App-exclusive school, but unlike many of its peers, it has gone ahead and released its 2011 essay requirements to the general public. They're quite lengthy, so we won't reprint them here, but Amherst's decision to put them out ahead of the Common App's August update points out a few great things about top schools like Amherst and what its actions mean for other schools that follow. 1. The more open a school is with you, the more open you can be in return. By putting out such a complex series of questions early in the admissions season, Amherst is showing you that it's worth preparing to write your application essay. Amherst's questions are challenging, and they require quite a bit of thought. Go ahead and put in the time it takes. Write multiple drafts. Get it right. 2. You have more work ahead of you than you think. Amherst recognizes that senior years are busier than they get credit for. So take advantage of the time the school has afforded you by putting this info out ahead of time. With opportunities like this and tools like CEO, your workload can be a lot more manageable than, say, those of your overworked and underprepared friends. 3. The college essay is the most underrated and under-appreciated part of the application. The admissions officers at Amherst know what it's like to read half-baked and ill-conceived essays. Sure, they see writing from a lot of the top students in the country, but they also see it from people that have rushed themselves through a pile of applications, regardless of their grades and resumés. This is your opportunity to speak to the college - your chance to create something of a dialogue and show them who you are. Make the most of it. If we were hard pressed to add a fourth element to this list, it would be that Amherst appreciates how many movies you have to watch this summer. That vampire flick ain't gonna watch itself. Thank the school for its foresight and watch all the movies. There are so many. Then fire up CEO and get back to work.